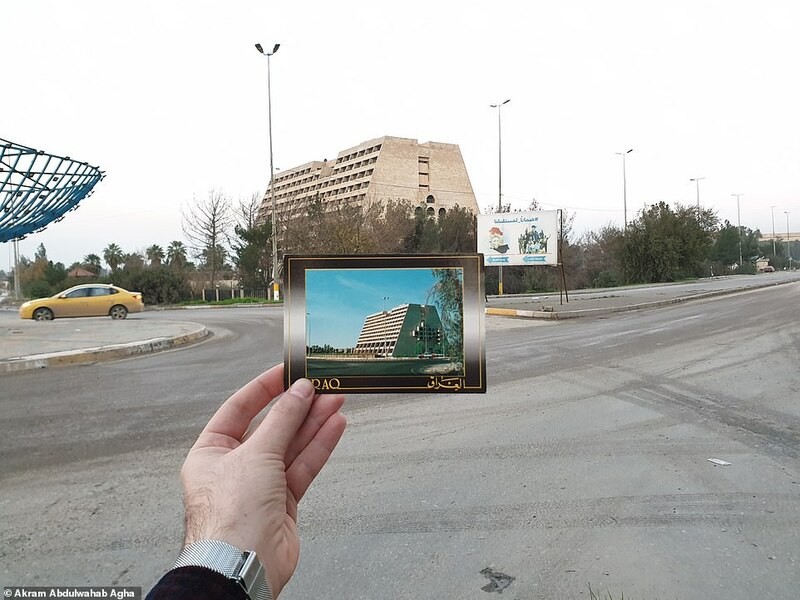 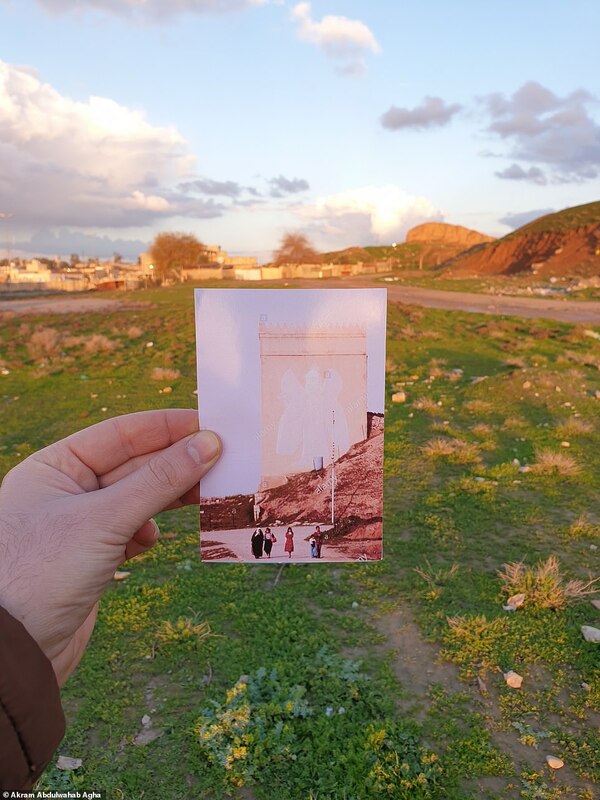 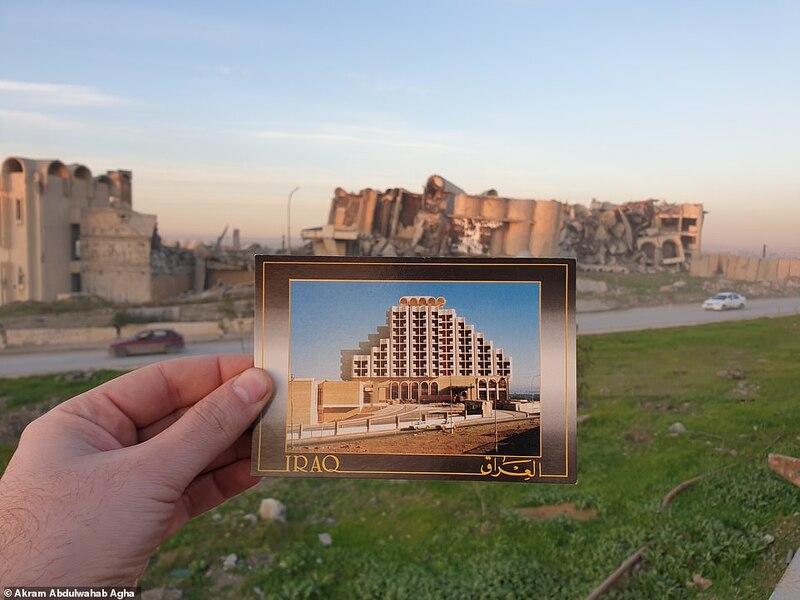 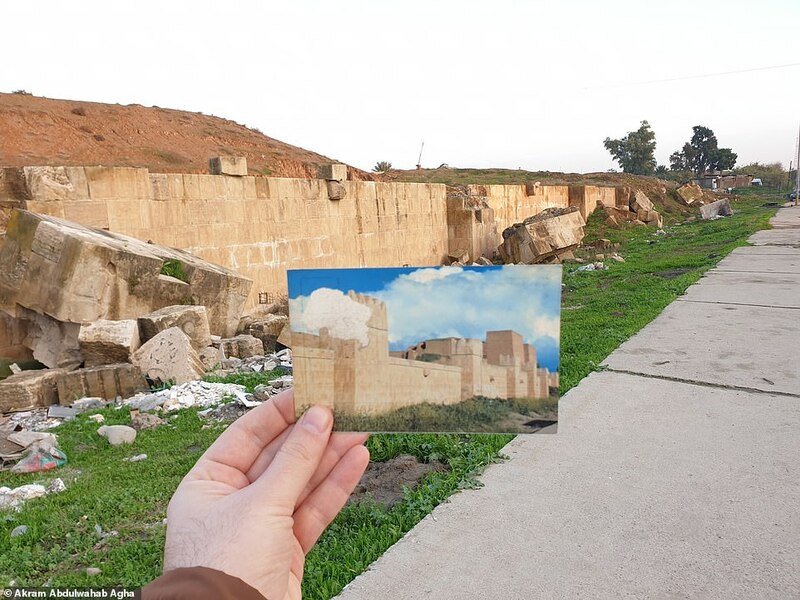 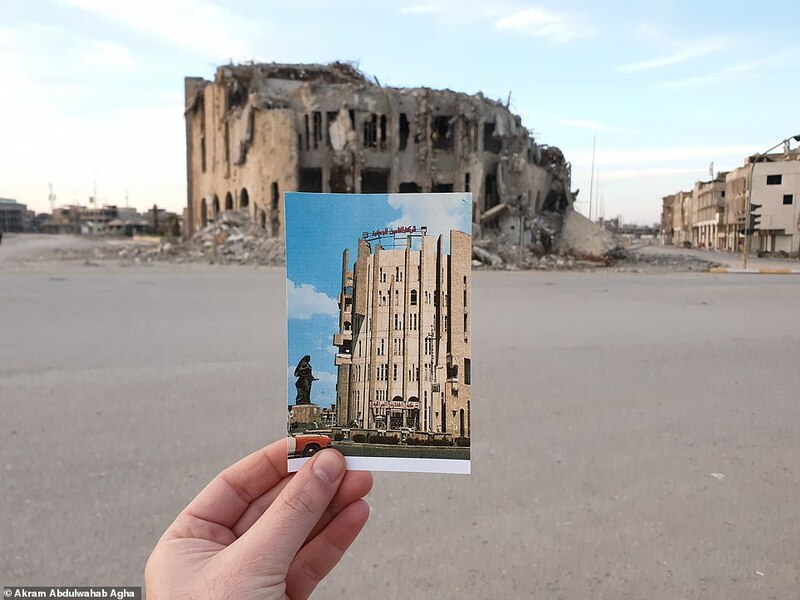 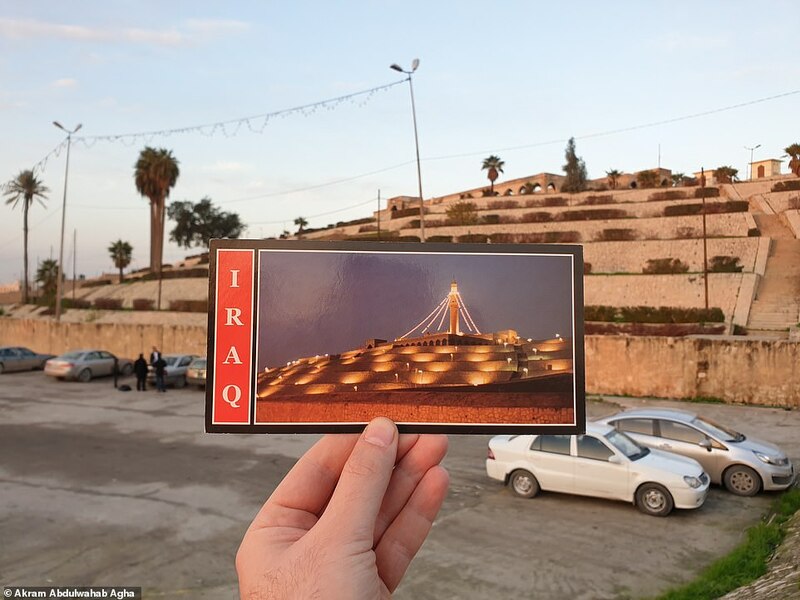 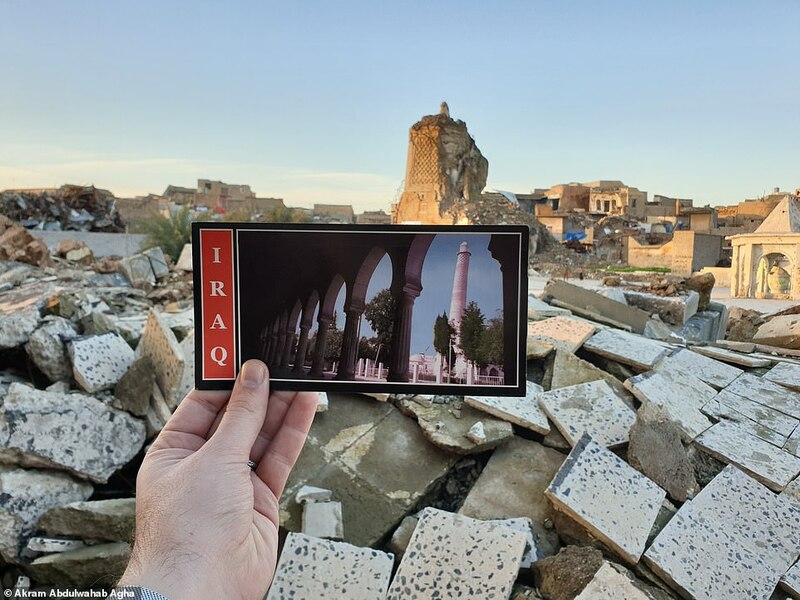 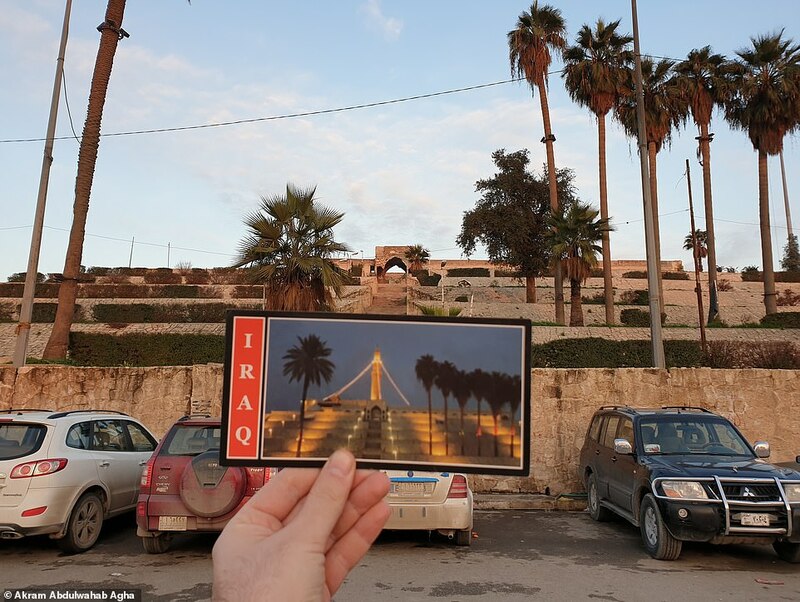 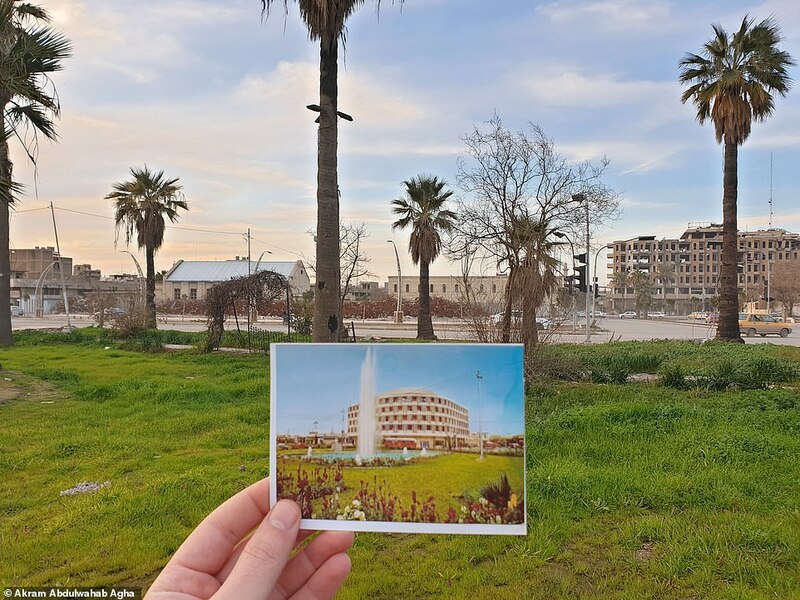 An Iraqi photographer has contrasted old postcards showing his once beautiful city of Mosul, to the war-torn streets of today after ISIS decimated its historic landmarks. 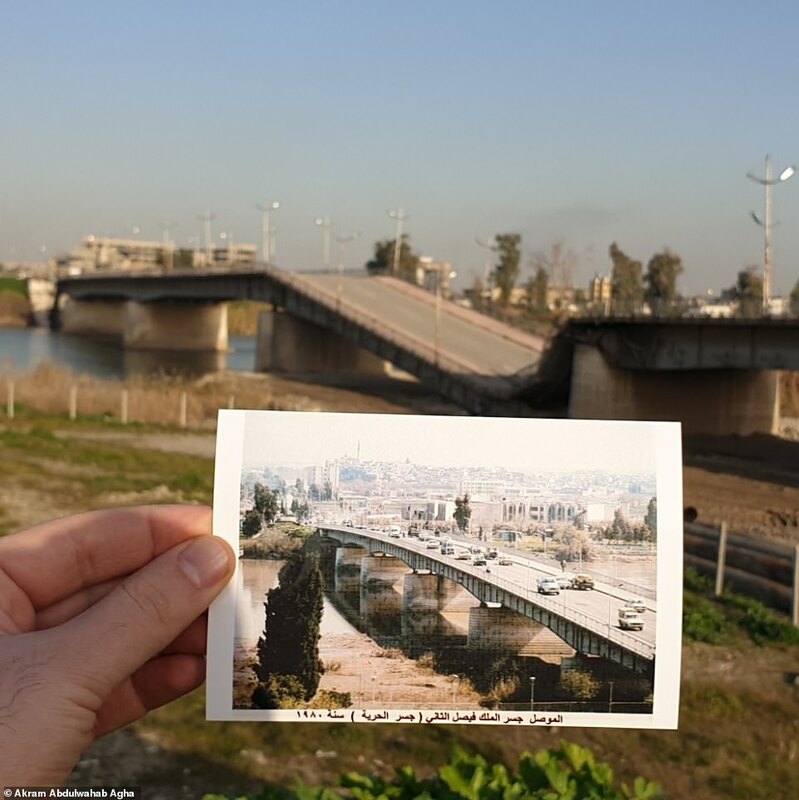 Akram Abdulwahab Agha's pictures show the Hurrya bridge, Bab al-Tob, the Church of the Virgin Mary and al-Hadba Minaret. 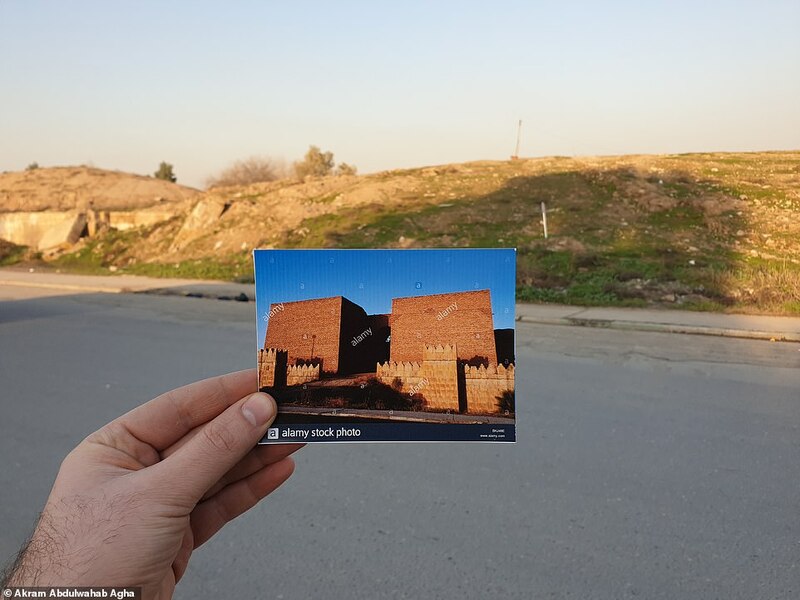 ISIS invaded the ancient city in June 2014 when they exiled the Christian population and began desecrating Abrahamic shrines and countless ancient sites as part of their Islamist hate. 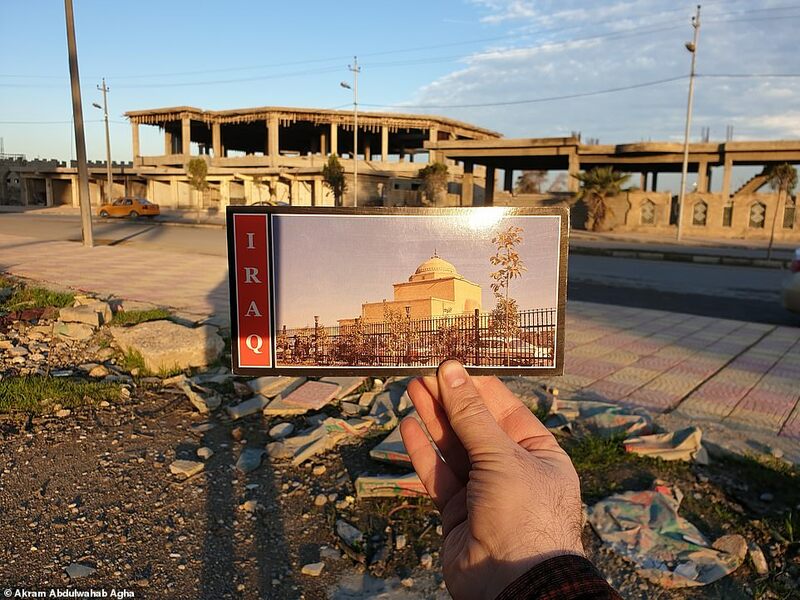 They bludgeoned the Tomb of Jonah, replaced crosses over cathedrals with their black flag and destroyed more than 100,000 books in a library - many of which were registered UNESCO rarities.